I know, I know! There are thousands of secrets to success… in life, in business, in making money online, and most importantly in niche sites. I am not focused on every single secret, just on the #1 secret to having success. You see, there are countless numbers of people out there that will tell you about this secret or that, or this challenge or that which will keep you from success. In reality, none of those people matter, and quite frankly, neither do I. Before I share this secret, I want to share with you a couple stories. I read a ton of books, and one of the hottest authors around right now is Tim Ferris. If you don’t know who Tim is, you need to find out. His book the 4-Hour Workweek is a game changer in my opinion. I actually bought the audiobook, and the reading by Ray Porter of Blackstone Audio is just spot on. Anyway, this book is genius because it makes you think. It makes you think about concepts to simplify your life and your business. Don’t expect to reach a 4 hour workweek… but his concepts can certainly take you from 60 down to 40 easily. 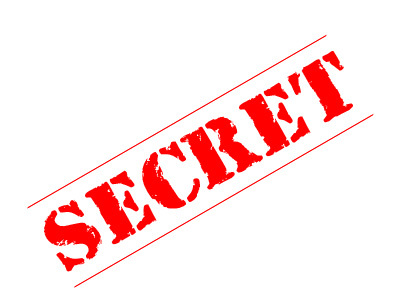 The reason I bring up Tim Ferris is because he is part of the secret. No, the secret isn’t to read his book. Did you know that Tim’s book got turned down by 25 different publishers? According to Wikipedia, his book has currently sold over 1,350,000 copies and has spent nearly 4 years on the New York Times bestseller list. Oh, and he has written a few other books which have been huge successes as well. The secret: Taking Action, And Continuing After Failure! It’s really two parts cleverly wrapped into one. Most people never take action because they are afraid of failure, and the rest usually stop once they have failed. The people that take that initial action, fail, and then keep pushing no matter how often they fail… they are few, and they are successful. The funny part is, this secret is in your core already. Everyone learns to walk and talk when they are kids. Nobody, not a single human, ever was born walking and talking. And nobody, has ever walked or talked on their first try. But for some reason, that gift of perseverance disappears for most people as they become smarter. Imagine that, the more you know, the less likely you are to let yourself fail and thus become successful. It almost seems too simple right? You have heard it all your life, get back up when you fall. Keep pushing yourself no matter what. Everyone hears it and yet nobody is willing to fail 1,000 in an effort to be successful. Thankfully, guys like Thomas Edison were willing to fail, otherwise we might be sitting in the dark. Now, applying this same theory to niche sites… you must take action, and continue after you fail. You will most likely fail on your first niche site. I’m sorry, it is the truth. But then what? Will you try again? If you talk to anyone that builds niche sites for a living, or even as a hobby, they will tell you that they aren’t all winners. Many of the biggest names in internet marketing fail 50x more often than they succeed. Some will tell you the truth, and others won’t. I have built a ton of failures! Some of those sites were really good ideas that for one reason or another just didn’t get indexed, keep traffic coming back, or weren’t monetized well. I have an example of a failed site that I built a few years ago that has great content, and yet for some reason just never made me tons of money. I have considered selling it but I am just very reluctant to give it up. You can check out the site about Nut Free Diets using that link. The key is, I didn’t give up after that site was built. I kept building and building and have had plenty of success. I have built sites that are better, and I have built sites that are far worse and even though they are worse, they are more successful than that one. But the reason I was successful was I didn’t listen to my inner self that questioned why it failed, I just kept pushing to prove to myself that I would be successful. I know that this seems like to simple of a secret, and that you have heard thousands of other secrets about success. I promise you this… if you live by those words and take action when you are afraid of failing, and when you continue after failing, you will be a success. Pat Flynn’s “Passive Income” Is Amazing, But Not Passive!